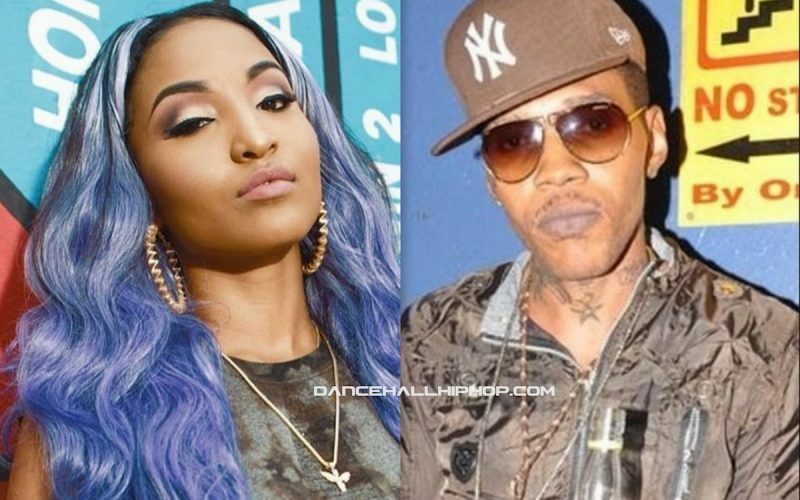 Shenseea and her manager Romeich Major have stepped forward to address the Vybz Kartel “Loodi” controversy. On Monday, Vybz Kartel or his associates uploaded the original version of “Loodi” to his Vevo channel on YouTube and left a message saying “My song was never a collaboration!” Speaking with OnStage TV, Romeich explains that he was approached by the producer of the song Elvis Redwood to do a collaboration with a female artist and he decided on his new artist Shenseea. Romeich also said that his team never tell anyone that Shenseea wrote the song, because she only added a couple lines to the original version. Romeich also revealed that Elvis had a falling out with Vybz Kartel at the time that they did the song, but he had nothing to do with that. He said that they were getting a lot of resistance from folks aligned to Vybz Kartel before putting out the song and the music video last year November. He also gave the incarcerated deejay a lot of praise calling him one of the baddest artists in dancehall.